Great things can happen when a dad thinks creatively and expresses his heart to his child. And maybe there’s a nugget here that you can apply with your children. What’s in your heart for your child? During those moments when you feel pride or love or joy welling up because you have great kids or you grasp the privilege of being a dad, how do you express it? Those moments might not happen every day, but look for them and relay your feelings to your child. Maybe, like Tom, you can share a meaningful word picture, or renew your commitment to spend regular time with your child. Bonus hugs are always a good idea. And every kid wants to hear their dad say something like, “I thought of you today, and it really felt good.” Too often, we dads don’t feel comfortable sharing our emotions, but we need to overcome that, and one of these ideas could be a good place to start. Loving your child is the first commitment of Championship Fathering. Read about more ways to show love to your kids. Sit down and come up with five things each of your children does really well. Then make a point to mention one of those when you notice an example in your child’s life. Try some new ways to say, “I love you” to your child — whether simply saying it out loud, using American Sign Language, or tapping your heart and then nodding or pointing at your child. 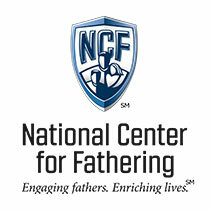 Get feedback on your fathering. Demonstrate your love for your child by giving your full attention when he or she is talking. Don’t multitask; focus solely on him or her.